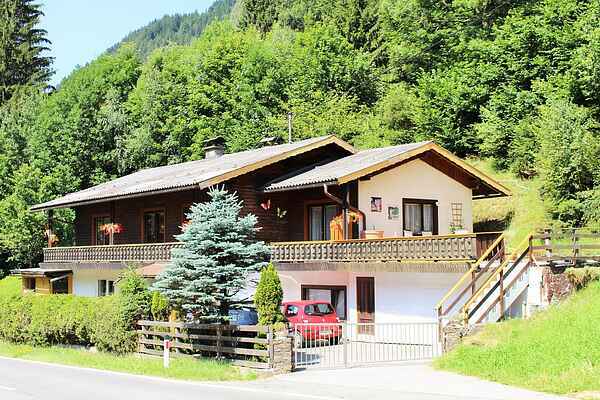 This very spacious 4-bedroom apartment is situated on the first floor of a house in a quiet location on the main road in Bad Kleinkirchheim, located in the beautiful and sunny south of Austria, just a short distance from the town centre. The ski area is just a few minutes away and you can enjoy 110 km of ski runs from Bad Kleinkirchheim. The renowned spa complex is also located nearby. The owner lives in the home below this nice apartment in a good location in a top-notch holiday destination! A staircase provides access to your holiday home, which offers plenty of space for up to 12 people. The large living/dining room with TV even has an extra refrigerator. You can access the spacious balcony from 3 of the 4 bedrooms. There are two showers and two toilets, convenient if you are staying here with a larger group. There are endless options for hiking here and the ski area is among the biggest in Carinthia. If you want to spend some time on the lake, the Millstättersee is just a 15-minute drive away. Come experience a wonderful holiday in Carinthia, the sunniest part of Austria, and relax among the region's mountains and beautiful lakes. Winter: Euro 1,00 skipass for children under 12 years old. Conditions: in the period 5 January - 8 March 2019, if 1 adult buys a 6-day skipass 1 child under 12 years old skies for Euro 1,00 per day (valid for the ski area Bad Kleinkirchheim\/St. Oswald). Please mention in your booking when interested. We need to order the skipasses before the 1st skiing day.